Oh….I am just super excited about this giveaway! I bought my dslr camera about a year or so ago and have been on a constant journey of learning about it. The camera is amazing, but I still have so much to figure out! When Katie of Katie Evans Photography sent me a copy of her book The Key To Taking Pictures Like a Professional Photographer I was ecstatic. I opened it up and devoured it. There is so much good information in it! What I like most of all is that it is all in one place. I can print this out and use it like a textbook until I get these things down. I can write notes in it too and there are tons of visual examples. “In the past few years I have had many family members, friends and acquaintances buy digital slr cameras. It just seems like these days everyone has one! People are getting these cameras but are still unsure how to get professional looking pictures out of it. I’ve noticed many people just keep their settings on “auto” and I think what a waste! Here they have this amazing camera capable of taking amazing pictures but they just don’t quite know how to get there. And the truth is, it’s really not that complicated! That’s what spurred me to write this book. 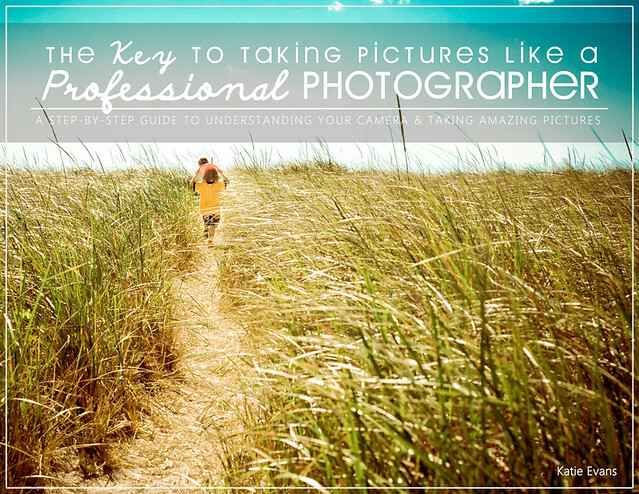 I go over everything a person would need to know to take the beautiful professional looking pictures they desire. It was important for me to make it all simple and easy to understand so that anyone could be succussful by reading this book. I’m a visual learner so I made sure to include lots of pictures and examples. Something good????? Is the amazing price! It is $16.95 normally, but she is offering all of you a coupon for $2 off for the next two weeks! (Use code HAPPY when checking out). Even better??? TWO of you will get to win one of these copies!!!! Whoohoo!!! All you have to do is leave a comment for a chance to win. Comments will be accepted until midnight Central time next Friday, May 13, 2011. Find out more information about the book here. 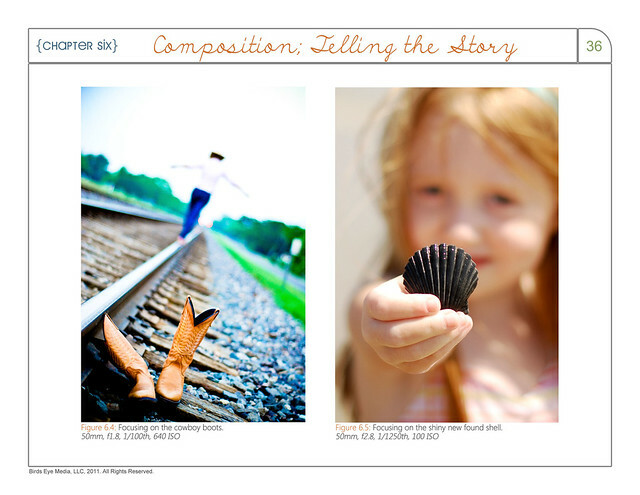 Find Katie’s photography blog here. I’d love to win this! My husband has a great camera, which I really want to be able to use properly. Thanks for the chance to win. Oh my goodness, I would love a copy of this book! Ooh, would love this book! I just got a Nikon D5000 for Christmas and feel like I’m just scratching the surface with what it can do. Thanks for the opportunity! 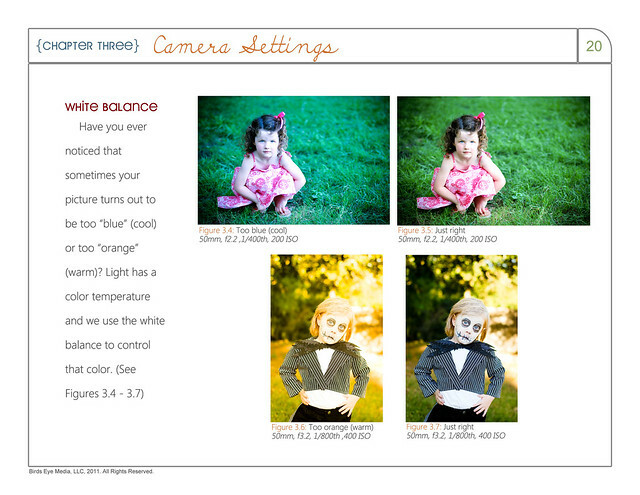 This book is just what I need for pictures of my 2 kids! I’d love to learn how to take great photos! i would really love to win this!!! Looks like a great book. I definitely need help on taking better photos. I would love to win! I have a new dslr and have no idea how to use it! My heart yearns for beautiful pictures!!! Oh, yes, please! I definitely would love love love to win this e-book! I got my DSLR for Christmas and there are soooo many things I have yet to learn! Thanks so much for the chance to win! I would love to win this! I bought a Rebel just a couple months ago, and I would love to learn some tips on how to take more professional photos. Thanks for the chance to win!! Wow – I would love, love, love to win! This is such a nice giveaway! there are so many things I could learn from this book! I’ve been eyeing this and would LOVE to win one!! I would really love to win the book, it looks super! Looks like a fantastic book. I admit it, I have a great camera but just leave it on auto. I would love to know the tricks to better photography! OH i would love this!!!!! I hope i win!! OMG! I SO need this! Have had my camera for a few years, and have been winging it ever since. I need this so I can properly capture gorgeous moments with my beautiful daughters! Love the look of this book and what it has to offer! I am heading to Germany and I will be needing some picture taking tips! I love photographing anything! That looks like an amazing book too. What a great giveaway! I would love to win a copy of this book! I could certainly use some help taking better pictures. I hope the book will fly in my direction. Than you for the chance to win it! I really want this book…would love to win it!! I would love this! I love my DSLR and would always love a chance to learn more! Count me in, I would love to figure out my camera! She is so generous to offer this, thanks for including me! I got a DSLR in October and would love to take advatage of all it can do! This would be great! OOOOOOOOOHHHHHHHHH AHHHHHHHHHHHHHHHHH. I would love to win this! I just got a dSLR for Mother’s Day and would LOVE this book!! I recently purchased an slr and have no idea how to use it! this book looks great; thanks for the chance! I would LOVE to know how to use my camera better! I am always looking for ways to improve my photography! This looks so lovely! I would love towin this book. Thanks for the chance. I just got a new camera and really dont know where to start. What a great giveaway. Pick me. Whoa! She’s really knowledgeable and takes amazing pictures. It would totally be a pleasure learning from her! I’d love to stop taking stinky pictures! I would like to have this book so much!! I would love this! I just got my first real camera in March and need all the help I can get. I love how it’s written and the examples look amazing. It looks great! I would be very, very happy if I win. I want to make good photos with my Nikon but it seems impossible to me. Thanks! A year and a half later and I still haven’t figured out my DSLR. This would be awesome! I so need this book! I have been on auto for over a year and drool over all these photos people take. I would love this! I would love to win this. I’ve had a nikon d3000 for 18 months now and I still feel like I don’t know how to use it. What a great looking book, and a wonderful way to improve my (admittedly lacking) photography skills! This book would be great! Looks like an amazing read for us upcoming photographers. This book looks great! We have a nice camera, and my husband knows how to use it. I’d love to learn how to use it better so I can take some good pictures of him! The book looks incredible! I work as a studio photographer so I have very little control over light/lens/settings and I would love to know more so I could do some photography outside the studio! I’d love to win this, I desperately need help learning more about my camera and how to take better pictures! Thanks! I so need this course. What a great e-course idea. I would looooove to win this book!!! I have a nice SLR, but just can’t figure out how to really use it! I need to win this book! I have a great SLR, but I can’t really figure out how to get great pictures. I have awesome picture taking material too because I have two adorable girls and we live in China!!! This book would be PERFECT for me! 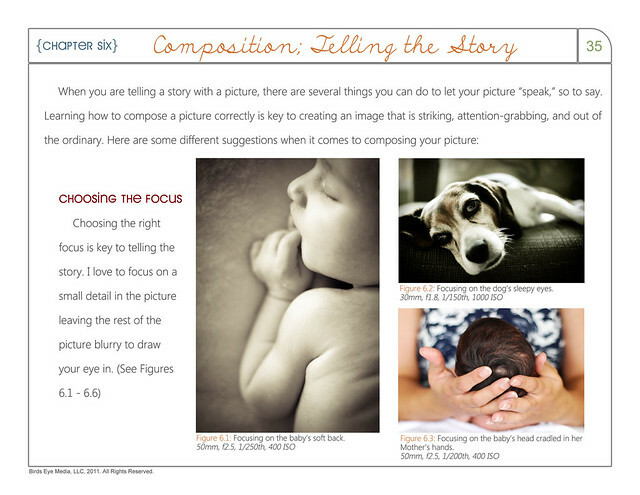 I’m just getting started in newborn photography, and this book looks like my cup of tea! Thanks for hosting the giveaway! I would love to have one of these 🙂 for both of my little ones! I definitely have lots to learn on this front, and really REALLY want to learn it. Fingers crossed! I would love the chance to win. I am still debating canon vs Nikon, but any help will come in handy! I’d love this! We’ve got a DSLR, but I’ve got no clue how to use it past it’s automatic features. I need this! I could load it on my iPad and I’ll always have it when I need it. Help me learn to take better pictures, PLEASE! I would love this! I too am learning all I can about my DSLR. Thanks for the giveaway! This book looks great! With two little boys to photograph, I’m always looking to improve. Thanks! I so want to win this book! I just graduated from Neonatal Nurse Practitioner school in December and my hubby told me I could buy a DSLR with my first NNP paycheck, so it would definitely get some good use! I would love this book!! Thank you for the chance! Oh, I really love to win this one! I want to learn to take fantastic photos but all the books are so hard to follow, but this looks amazing! Pick me to win! I’d love to get a copy of this book! Can I please win this? I’d really love to win this. Reeaaaally would love it. I want one bad!! Im really hoping to get a DSLR camera really soon! This looks like an amazing book and it would be great to have. taking good photographies is so importantto me but I have so much more to learn. this is an awesome giveaway. thank you! I would love this. I was recently given a dslr as a present and I am trying to work out how to get better pictures. Hope its me! thanks for the giveaway opportunity! i’m one of those that have a fantastic dslr camera, but usually keep it on auto. i just need to take the time to learn to use it and this book would be fantastic! I would love to win this! I have been wanting a great camera but I’m intimidated by how to use it! This wouldd be perfect! We love taking pics and have lots to learn! Ooo, I’ve had my eye on this book. Wouldn’t you know that as soon as I start following you, you’d be giving copies away! Thanks. 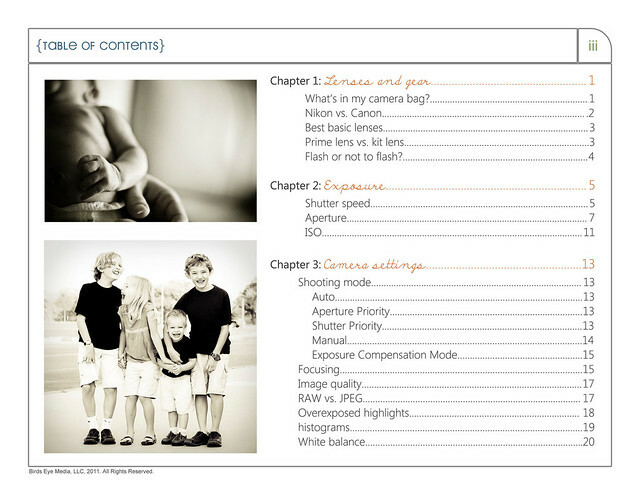 I just had a baby and got a DSLR…I would love this book to make my pictures even better! I have a good camera but I am one of those people who leave it on auto. I know that there is so much that it can do but I don’t know how to get it to do it lol. This would be amazing!! My husband always gets mad at me for just using “auto” and I know this book could change that! This is a book I could definitely use since I always get nominated to be photographer at family gatherings. I would love to win this! I have a new camera and must learn how to use it better. Awesome I would love this!!! My husband gets mad at me because I take all our pictures on “auto”, so this book would be great for me!! I would loooove to win! Thanks, I’d love a chance to win!! Yeah, I’m so excited! It is definitely time for me to learn to take better pictures… my kids are growing up too fast. Thanks for the chance. I can’t afford the expensive cameras, but I love taking pictures. memories that you can treasure forever. I use my android phone to take pics. I was gonna go to school for photography,but ended up going with business. This book would be a fantastic learning resource. I would love it! I would love to win this, I always feel there is so much I more I could be doing with my camera. ericandursula(at)embarqmail(dot)com Thanks for the chance to win it! I would love a copy of this book. It looks like a fabulous book! I would love to win! I have a pentax, which I loooove but I have gotten out of the habit of taking pictures… I need to pick it back up again! I need all the help I can get. The book looks wonderful! I would love to win this! I took a photography class once upon a time, but have had plenty of time to forget everything I’ve learned. I <3 my Nikon D40, but every time I use it I know it will do more than the auto settings I always default to! What a great giveaway! I have a camera that I need to figure out how to maximize its use! OHH man!! I would LOVE this! I am in some serious need of photography help! This looks amazing! Oh wow this book looks wonderful. I got a SLR for my birthday in January and I’m still learning how to use it. I’d love to improve my photos with this book! Thanks! I would love to win this! I got a dslr in September and am slowly learning how to use it but don’t feel like I am using it to its fullest potential yet. I would love to win!!! I have always wanted to know how to get the great shots!!! this would be perfect to win because i just got a new camera for mothers day and sadly have very little clue how to use it. this is just what i need. I’m always looking to learn more and improve my photography. I’d love to win this book. I would love to learn more and improve my photography. I would love to win this. I need all the help in the world to take better pics. I don’t have a DSLR yet! But can’t wait till I do. Would love this book, I have loved photography for over 30 years. This looks like a great book! Your website is so awesome!!! I REALLY want this book! I need all the help I can get when it comes to taking great pictures. this may be my most favorite giveaway EVER!!! I just bought my first dslr and this book would help so much! Hope I win :). I’d love to have more tips for my photography. I’d love to win this ebook!! I’ve been wanting to get a “fancy” digital camera. With this, I’d know exactly how to use it, and perhap what to look for. Like everyone else, I desperately need to improve my skills using my camera. I’m convinced it’s smarter than I am! This book looks approachable and easy to understand. Thanks for the giveaway! Awesome! My daughter would LOVE this! I’d love to win this! Would help so much with my camera. Beautiful! I’m saving up for an SLR and need something to keep me occupied until my piggy bank fills up 😉 I think this would fit the bill perfectly! I may have to purchase this book (if I don’t win one). Thanks for hosting the giveaway. Especially taking pictures of an active 11 month old! What a fun giveaway! I hope I win! I would love love love to win this book. I got my camera just after my daughter was born and having been stalking her like the paparazzi ever since. I’m no where near a professional but it truly is something I love! happy for the contest, happy to find you again (you were lost when my computer had a mishap). This is so great! I just bought a Nikon dSLR two months ago and its amazing. I can’t wait to learn and do more. Thanks! My husband got me a camera for Christmas, it is WAY out of my league. I hope this book helps! I would love to win this book. Looks like a great book both myself and my husband would love! What a wonderful opportunity to learn more. I am a missionary in Guatemala and a big part of my job is taking pictures to send to our supporters of the many projects we do in villages. I’d love to learn more!! I would love to win the ebook!! The opportunity to actually be able to learn how to take GREAT pics would be so exciting!! Photography has always been a passion of mine. I’d love to learn more so that I could improve at it. would love to win a copy of this book, i am always looking for tips to better my photography. What a great opportunity!! This looks like a lovely book! This is something I would truly use! AWESOME! This book looks great. I’ve been trying to figure out how to use my camera properly by pestering a friend with questions, and I think she’d appreciate if I at least had some knowledge to go from when she teaches me things. Thanks for a great giveaway! I would love to win this as I have a prosumer Canon S95 camera that are able to capture pictures in RAW format as well but so far I have not used it. I just use auto function with Jpeg format! I have seen these books before. MY husband and I would love these! Thanks! oh so many others want it too! I would love this book. I just got a brand new Nikon D3100 for mother’s day and could really use some help learning how to use it. What a great giveaway! I have been looking for a good photography book! I would love to win this for my husband. He takes all the pictures and this would make an awesome father’s day gift for him. Thanks for the chance! I would love to win this! I definately need some help in the photography department! ohhhh my, I would love to win this book so much! I love photography and want to learn more and more! thanks so much! I don’t have a DSLR yet, but I’m hoping! I’d love to win! We bought a dslr not too long ago and I’m always looking to improve my photos. would love to win! Thanks for hosting! 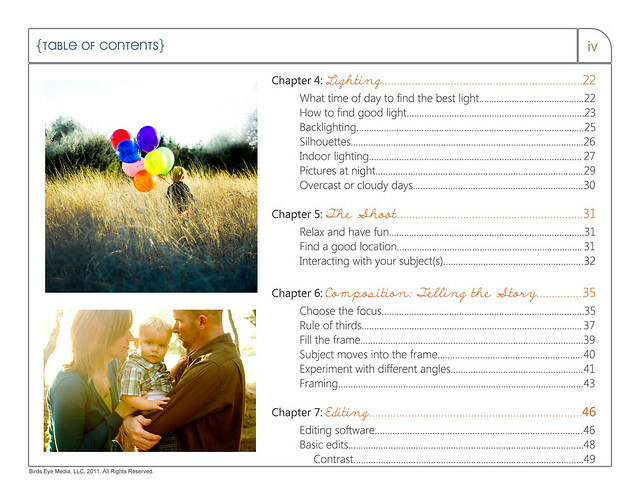 I would love to get this book – it’d be great to have a guide to help with taking great photos! Boy do I even NEED this book. Thank you for the chance to win! My email is linked to my profile. I really want a Canon Rebel T2, and this would be a huge help in getting use to it when I purchase one. I would love to know the tricks and tips to taking amazing pictures. Thanks! My husband just gave me a DSLR for mothers day!! I would LOVE LOVE LOVE this book to get started on the right foot for taking amazing pictures of our new baby girl, thank you for the opportunity! I need all the help I can get with my new Nikon. I want to take some beautiful pictures! I definitely need this book! Thanks for the giveaway!!! That’s so great! My husband knows everything about our DSLR camera but every time he tries to teach me I get confused. This would be so handy and then I could take pictures just as good as he does! I would love to win this… but if I don’t, I’ll definitely finagle a copy somehow! I need this book! Got a DSLR for christmas and need to learn more about it! I need this book! I bought a dslr camera when my first boy was born and the pictures are good, not great. I need great! This book looks awesome!! I’ll take one please!! This would be sweet! I would love to take better pics! This book is on my “Must Buy” list!! Wow, what a fabulous giveaway!! I would love to have one of these! I have been looking for a good photography book! ooo, that book looks fabulous, I could really use something like this. I would love this book. I’m deeply entrenched in trying to learn more about photography, and this book looks like it would be perfect!! Such beautiful pictures!! Maybe I can tak pictures as good as these with this new book. This looks like an awesome book! My hub and I got a dslr this year and I keep thinking I need to learn how to use the different settings but the manual is not the easiest to read and understand. What a packed table of contents full of beautiful examples! Oh I could really use this! I’m going to check out her blog as well. This looks like such a terrific book! I’d love to win. Thank you! Very cool! This is fabulous! I would love to win this, I could use help with my photos! I’d love to win this, I’m always trying other settings on my digital SLR, but I don’t always get good pics. If I don’t win, I’m going to buy it haha! I would love to win this book! What a great idea!!! Sweet giveaway! Still learning my camera, even after 3 years!! 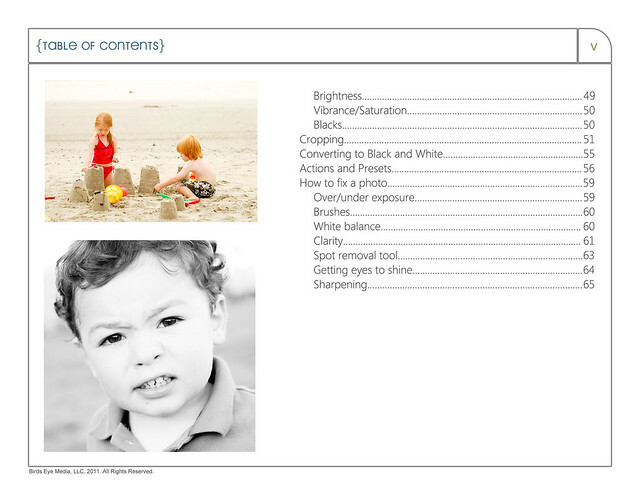 Great range of topics for me a.k.a the amateur photographer! I plan on purchasing a new camera in a few days and would love to read this to help me get perfect pictures every time ! I have always loved taking pictures. To my family and friends I am known as the picture girl because I just love taking pictures and this book will help me improve my skills so much. Would LOVE to win that book! Thanks for a great giveaway! What a fantastic book!! My dream job would be as a professional photographer, but I’m far from that. Yay for the opportunity to take great shots of my kids, though! I would really love to win this ebook! Thanks for the chance. i found your blog thru delia creates, and you are so talented! Have been looking for something like this! Love the balloon pic… oh, man…. thanks! Ooooh! Im SO glad I found you on Kojo designs! Enter me please! working hard to make the most of my camera these days; looks like this would be very helpful! I’d love to win!! Thanks for the giveaway!! I would really like this because I take pictures all the time! I had problems with my blogspot yesterday. One of my post was actually lose because of it. Came back on here and realized my comment was gone as well. So I’m back on. To my family and friends I am known as the picture girl and never leaves my house without a camera. I would love to learn how to be even better. Oh I would love to win! I got a Canon Rebel for Christmas and I am always looking for ways to learn more! I need this! I have nice camera that stays on auto bc I don’t have time to figure out the settings! This book looks to be informative and inspiring. I would love a copy! krbailey(at)ameritech(dot)net. that book looks wonderful! I still can’t understand my manual. i’ve been using my dslr for way too long without learning how to work all the bells and whistles–i would love to win a copy of this book!